In order to prevent tooth decay, Dr. Stephenson may recommend applying dental sealant. 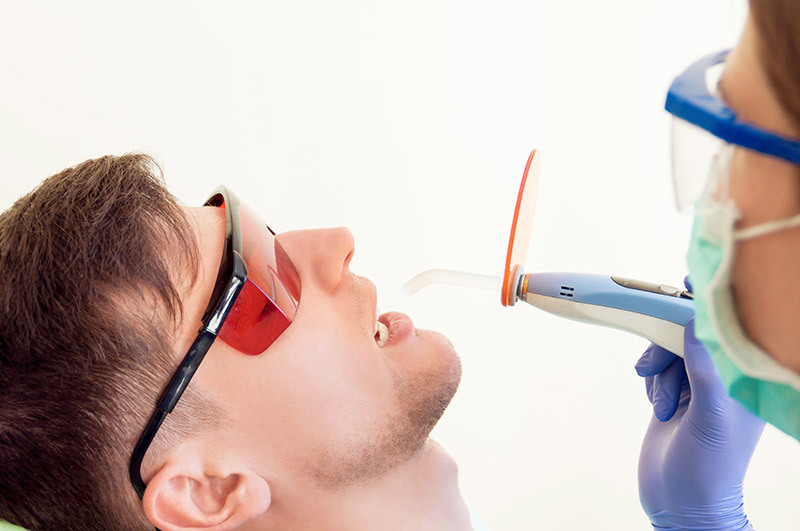 The sealant is made up of a thin coating that is most commonly applied to your back teeth or molars. It provides a protective layer over the tooth’s enamel in order to protect the teeth you chew with most. A dental sealant is applied over grooves and depressions in the premolars and molars to prevent plaque from forming. It is common practice to seal children’s teeth as soon as permanent molars come in. During the procedure, the teeth are first cleaned and dried. Dr. Stephenson or an assistant will apply a pre-solution to help the sealant strongly adhere to the teeth. Next, the sealant will be painted on and will harden quickly. You or your child will then learn how to take care of sealed teeth, which can last up to 10 years. Dental sealants are an excellent way to avoid cavities and other issues in the future. Dr. Stephenson and his staff consider dental sealants a regular service for Juniper Dental patients. Schedule your complimentary consultation today to see if sealing your own or your children’s back teeth is the correct preventative measure.